Basty’s may be the only restaurant featured in this series that my friends and I often go to. I promised to try new restaurants, but since we dined here in the middle of the food series, I wanted to include this one as well, especially knowing how good the food was. The bar occupied most of the ground floor, but if you’re not a fan of drinking, head to the mezzanine. The area was enclosed in glass to allow a relaxed dining for non-smokers, in spite of the abundance of smoking patrons below. The restaurant’s menu slightly leaned on Spanish cuisine, with a wide variety of tapas and mains catering to all of its clientele. 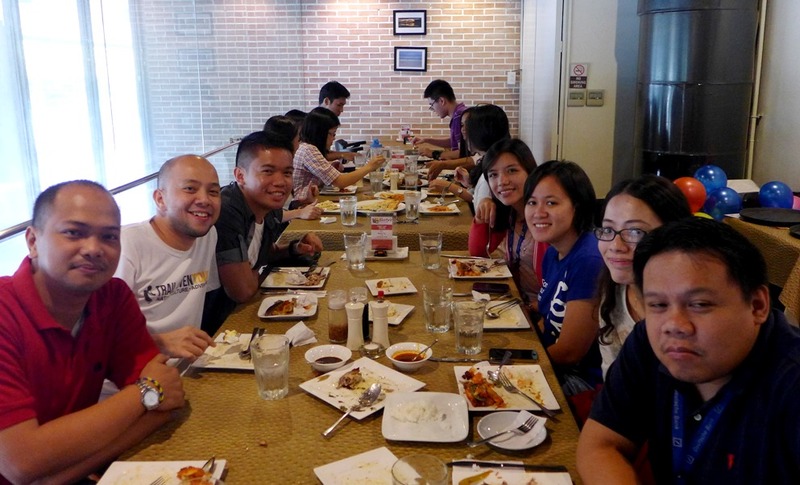 Over our relatively frequent visits, we’ve learned the best dishes the restaurant offered. 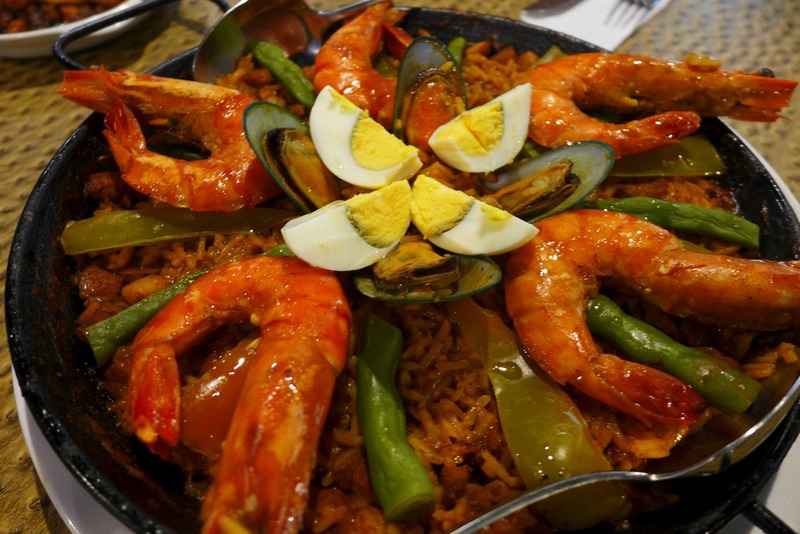 Their paella valenciana was the best, with the crisp yet chewy rice flavored sharply by the peppers, chorizo and prawns. The only downside to this dish was that you’d have to order this way in advance. Else, you’d have to wait for half an hour before partaking in this delicious treat. The gambas con chorizo was another favorite – a sizzling plate of shrimps and garlic. 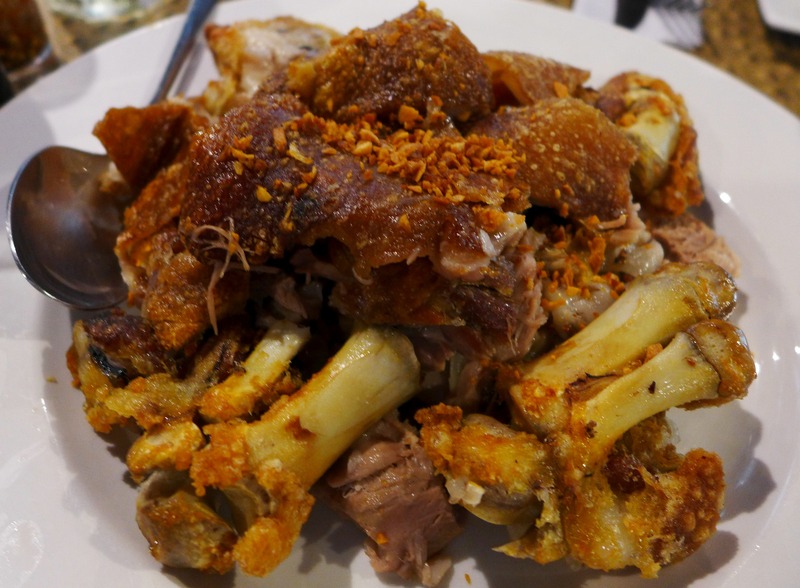 Their crispy pata was simply superb – its crisp skin perfectly matched its tender meat. 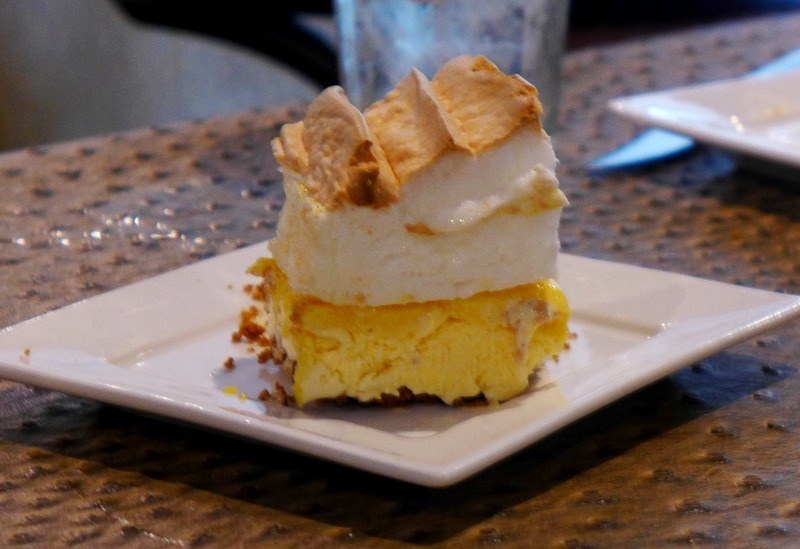 To cap the meal off, order a slice (or more) of their mango brazo de mercedes. The different textures and temperatures would surely make your heart sing with joy. While we typically order just a few slices of dessert as a group, we had to go on a second round of mango brazo for this lunch. It’s that good.